I was left with a small stack of white and cream leftovers after the wedding quilt a few weeks ago. 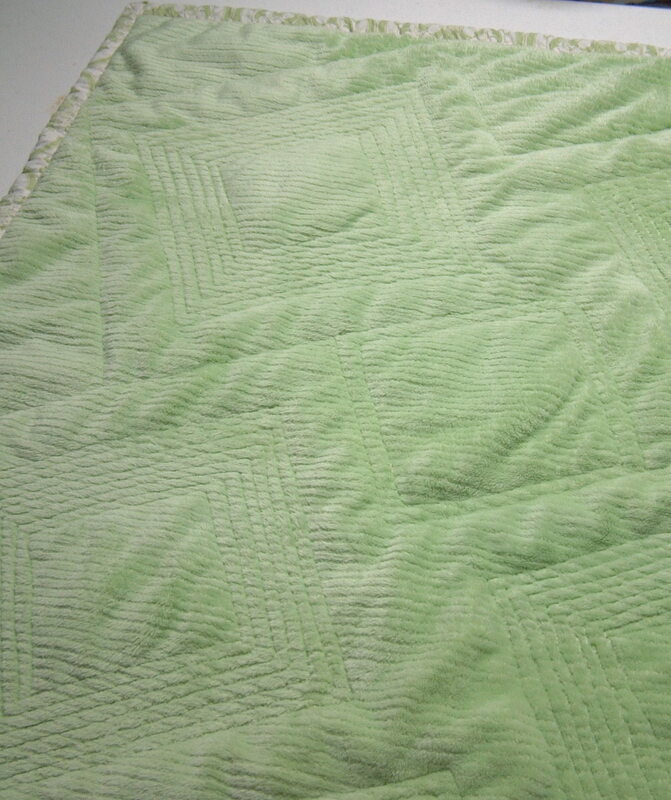 I had some advice early on that I would have great success if I made white quilts for babies, I think I might have rolled my eyes. But I decided to use up the leftovers and throw in this lovely ducky fabric (that seems to match nothing else in the universe) and see what happens. 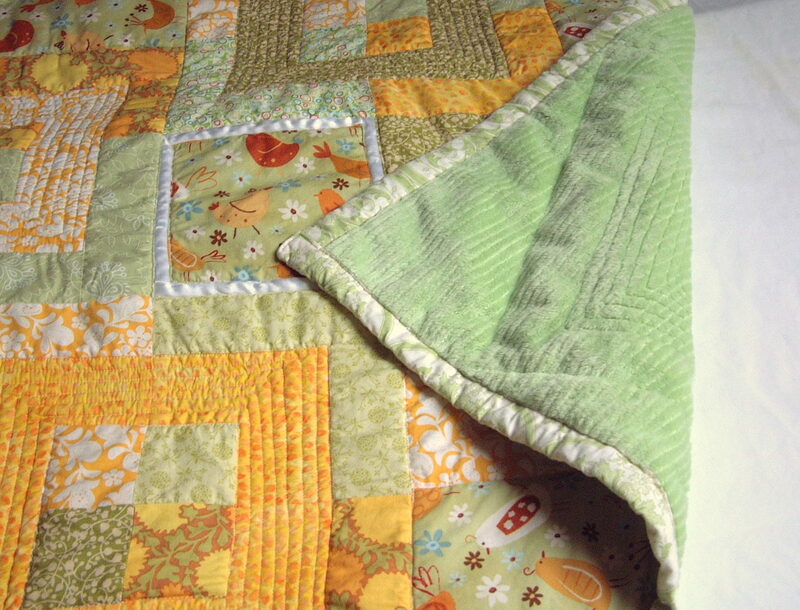 The sad truth is I have baby quilts in 2 different stores and etsy right now, and none of them selling. So what harm would one more be, right? What is that white ribbon doing in the middle two squares? I ran so disastrously low on that bird fabric that the ribbon fudged me the extra inch I needed. I should have added some more on the border to make it look a little more involved, such is the problem with 20/20 hindsight. I love the minke on the back. I should say I love the minke now that I learned how to use it. I used some Heat -n- Bond lite to baste the minke to the batting. I made a disaster of a couple other projects with minke because it has a terrible tendency to stretch and bunch and this eliminated the problem completely. I had some early moments of anxiety because it felt like there was a sheet of crinkly newspaper in the quilt before I washed it. 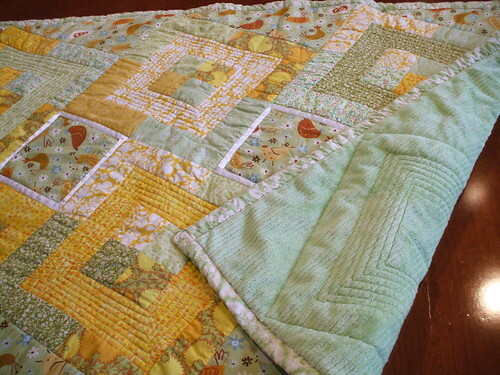 But a hot wash and a tumble in the dryer has it feeling like a soft cozy quilt. 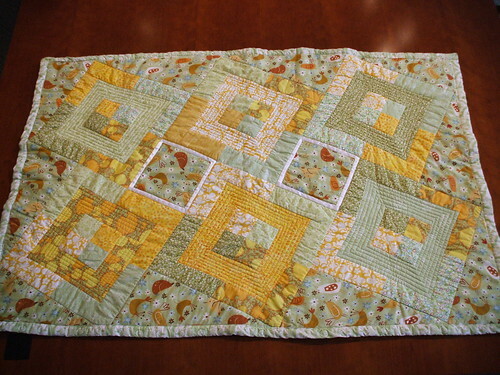 This is my first quilt I am selling online. It can be found in my esty store, the first link on the list on the right. 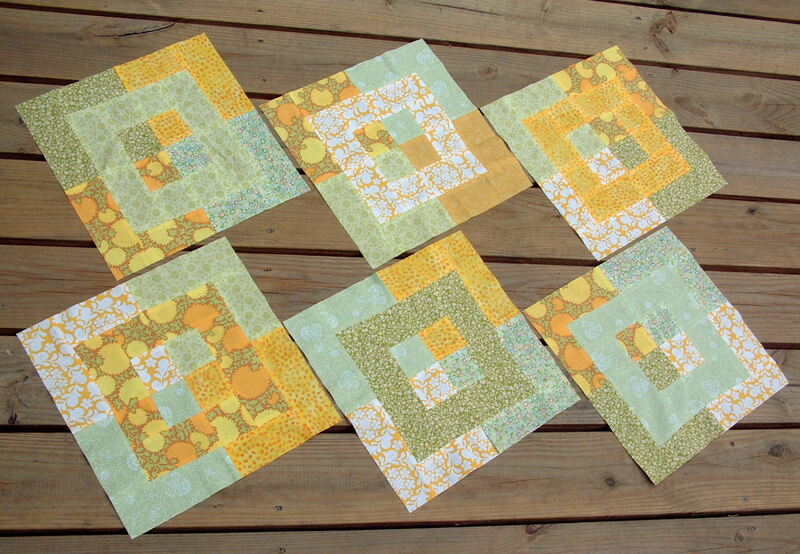 It is really bright but I love it and I think it will make someone out there a very nice baby quilt! Update! 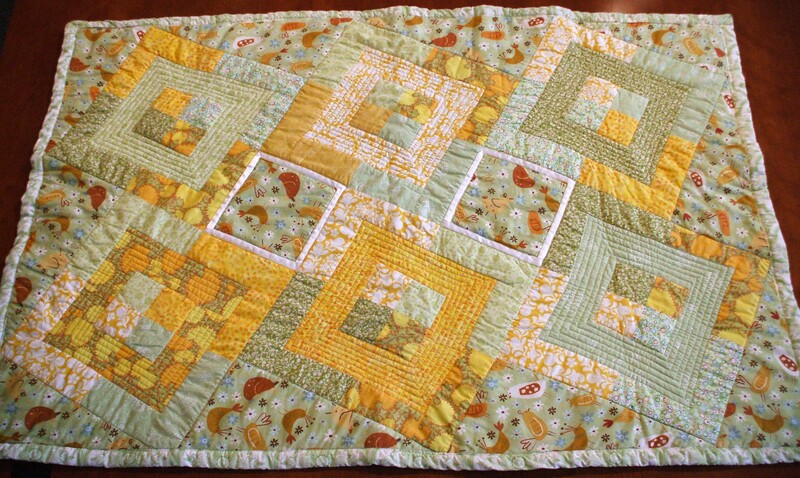 This quilt is sold and has a loving home!